Home / Automotive / car care tips / car hacks / cars / Lifestyle / Technology / Travel / Worried About Your Car’s Paintwork, Here’s What You Need to Avoid? Worried About Your Car’s Paintwork, Here’s What You Need to Avoid? A lot of car owners would agree with my following statement that goes like ‘owning a car is way too easy than maintaining it’. Buying a new car just requires you to have money in your bank account while maintaining it throughout the journey till it is with you requires you to care for the same every single day. Whether you have parked your car in an open parking lot or besides your friend’s house under a tree’s shade, each scenario requires you to focus on the surroundings and conditions so that your car’s paint job doesn’t get ruined. No one wants his/her car to look ugly or its sparkling and glowing paint to go out of shape, but to maintain the same shine and gloss of your car as the new one you need to be cautious of the surroundings at all instants. Unknowingly, you come across situations where your car’s paint can bite the dust, which can easily be avoided by paying proper attention to the same. Hence, to make you aware of such cases, which you can easily bypass, we have penned down this article researched from a large pool of such useful tips that you can read from Car Advisory stories at Zigwheels . We have also listed down quick solutions for the problems you might encounter. How often did we compromise on the parking place and park our cars under direct sunlight without giving a second thought to the harm it would do to our car’s paint? The answer would be quite a few times. We often let things happen in our lives without making that extra effort, which could have eventually prevented us from the unwanted situation. This happens when we look out a parking space and often go loose and park the car under sun. Once or twice, the results won’t come up but after a while it would start to deteriorate your car’s paint. The car’s paint is also not immune to the damage caused by UV rays sourcing from the sun similar to our skin. Hence, to protect its shine and lustrous character we need to protect it from Sun. Here are some quick solutions to the same. Park your car under shade whenever possible, put in that extra effort to find an appropriate place for your car. If your car gets exposed to direct sunlight often then make it a habit that you wash it on a daily basis. 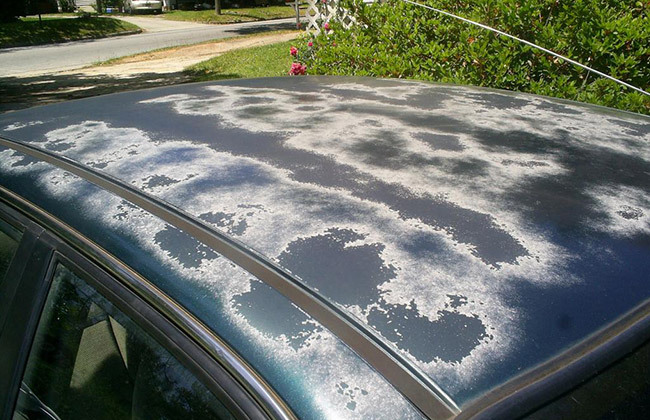 It must have happened to you quite a few times when you left your car proudly under shade and you were welcomed back with a bird’s white poo spot here and there on your car’s roof, hood or on the windscreen. Well, this coincidently happens whenever you had washed your car, right? Haha, yes it does happens the same day you cleaned your car. This bird’s poo deposit can damage your car’s paint if isn’t removed quickly. The reason being the presence of uric acid in the poo that can etch into the paint, sometimes within minutes. Solutions or preventions for the same are as follows. Next time you park your car, look around a bit to ensure there aren’t any signs of birds. Ensure your car is waxed, which slows down the entry of acid into paint. An extra layer would prevent your car’s paint from damage. Do not wipe or scrub it off. If it gets dry, then make it liquid once again by pouring in body detail spray or lubricant. Let it sit for a minute or two. Then with the help of microfibre cloth remove it gently off the surface. Make sure next time you put the cloth to wipe it off, it is completely clean and no residue of poop remains on the same. It is common to get your coffee cup spill over your car’s roof when you get along with your friends on a coffee date. 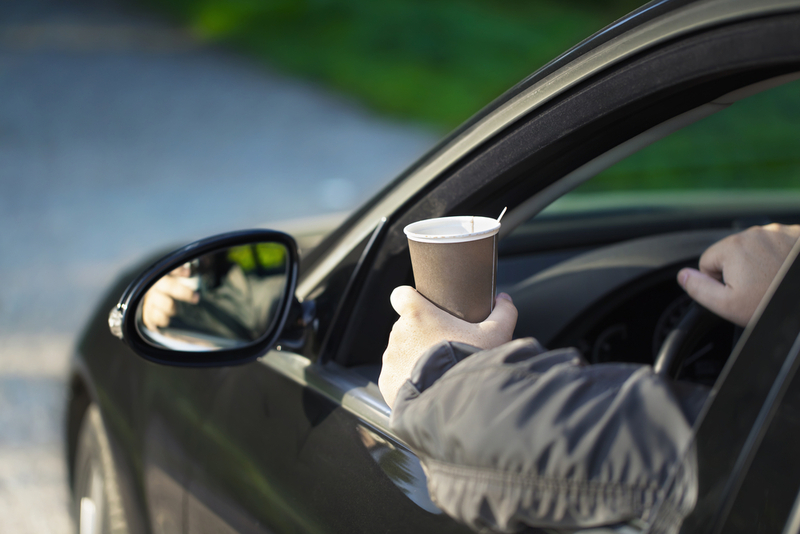 You might also get the hood of your car prone to coffee on your coffee dates so it’s important for you to take note that your car stays away from coffee stains. It contains chemicals that can severely hit your car’s paint. The first and foremost thing you can do here is wipe it off as quickly as you can. Make note of following things whenever you do the same. Don’t let the stain dry. Get your car to the nearest car wash. If hitting your car wash centre isn’t possible then grab your bottle of car detailer and a piece of microfibre cloth and wipe it off gently. The water droplets can leave a lasting damage to your car’s paint if isn’t removed in time. 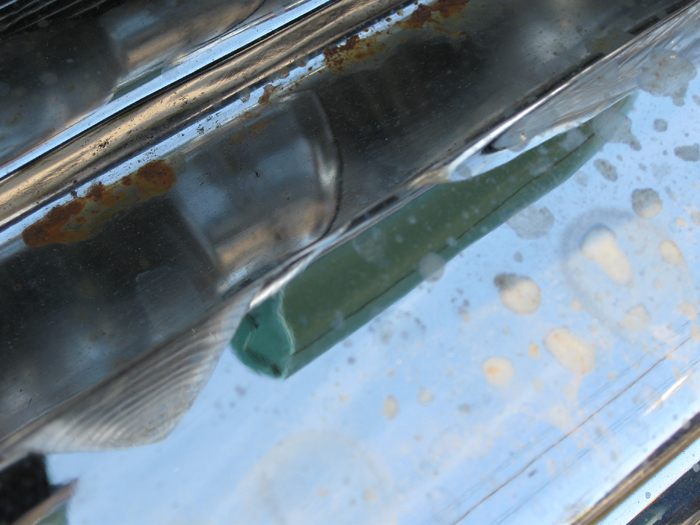 The rusting off your car’s paint can happen in no time. 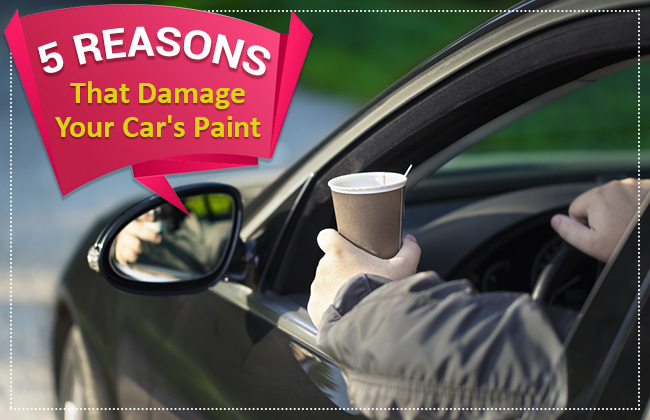 Even before you know that it’s ruining your car’s paint, it could have done its part. Rain and sprinklers take this harsh responsibility to deteriorate your car’s paint. What to do next to clean such stains? Take your car for a quick wash.
Wash it with shampoo to rinse off the water spots from your car. After washing, wipe your car off with a microfibre cloth. Negligence is the last thing you could do to damage your own car. If you aren’t among the ones who visit car wash stations on a regular basis to get the things done then you are actually garnering the roots for an expensive car maintenance. 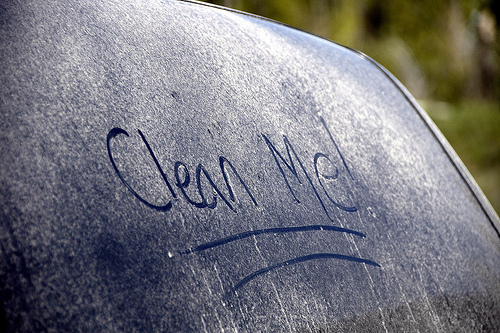 Uncovered cars are prone to dust marks, rust patches and other unwanted stains. For a perfect shining car you need to wash your car on a regular basis. You should get it shampooed yourself or take it to a professional service station for the same task. In addition to this, get your car waxed twice a year for ultimate results.